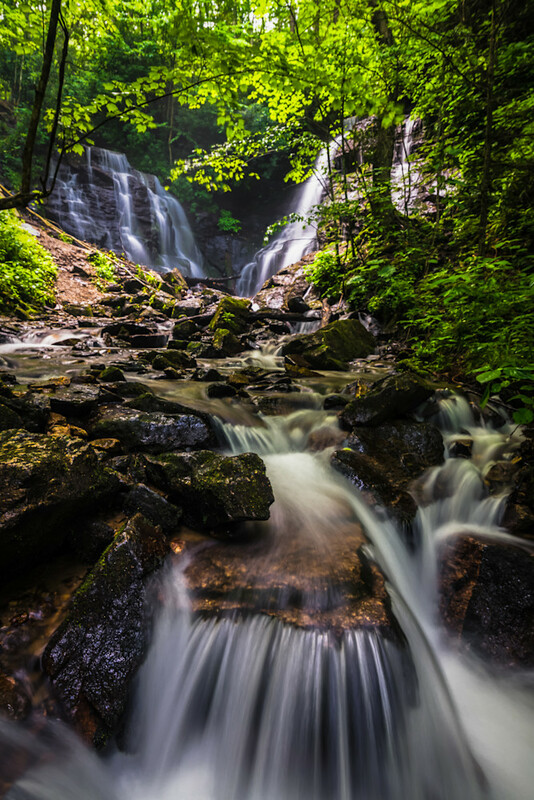 Soco Falls is a beautiful, double waterfall on the edge of Cherokee Indian Reservation, located between the towns of Maggie Valley and Cherokee. It takes less than five minutes to walk to the observation deck to view the taller falls, a 120-foot waterfall. In the winter months when there are no leaves on the tree, you can also see the smaller falls on the left. For a closer view, continue down a steep trail from the deck to the base of the waterfalls with the aid of ropes. Be careful, this section has some ropes to help with balance and can be very slippery.